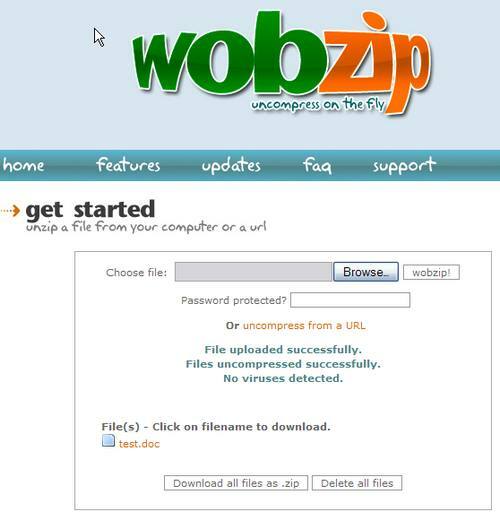 WobZIP is an online service for uncompressing compressed file online, from a url without first download the compressed file to your computer. The compressed files will be scanned using an anti-virus scanner, and any infected files will be removed. WobZip works with .rar, .7z, .tar, iso and many other compressed file types.